These results were not quite the disaster TAST’s plunging share price had been suggesting. Grim half-year figures back in September had already heralded a substantial profit drop. 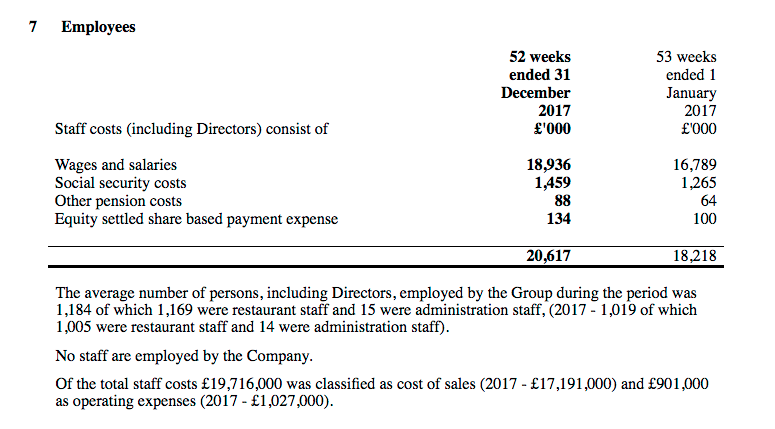 Furthermore, persistent bad news within the wider casual-dining sector — notably from Prezzo and Carluccio’s — had prompted me to speculate whether TAST was losing money and could require extra funding. Thankfully these results confirmed the business had remained profitable, and that various property deals had shored up the balance sheet. TAST’s statement did not dwell on the “difficult market conditions” that had blighted the group’s performance. Instead, the management narrative — which I note was much more informative and lengthier than those of previous years — outlined the board’s “clear plan to return to growth”. For each of these [underperforming] sites, turnaround strategies have been introduced and where these have not been successful the Group has sought to dispose of the property. The Group has begun to completely overhaul the training framework that exists in the business with a view to increasing staff retention and improving overall customer experience. The framework is being drastically improved at all levels of the organisation supported by apprenticeships. 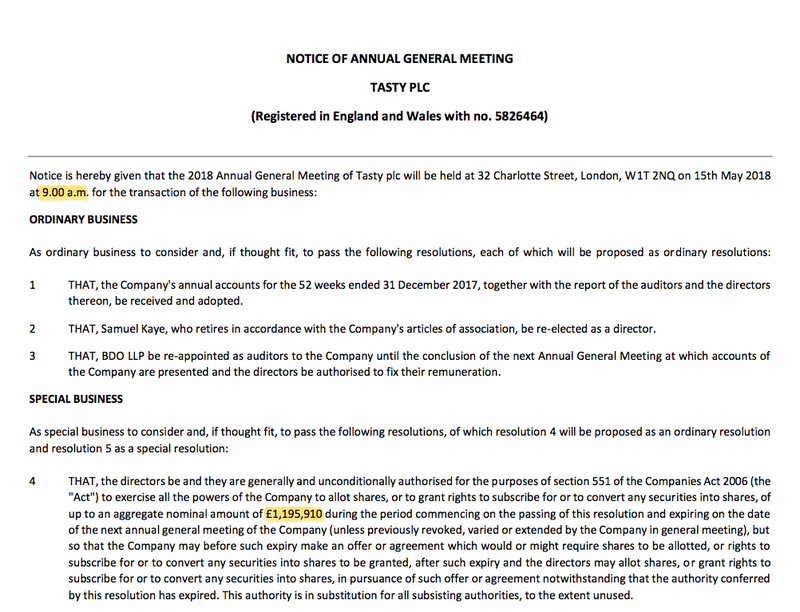 Certainly TAST’s directors now appear much more focused on revitalising the business than they were a year ago. During the last AGM, the executives admitted they had been “a bit slow” to react to the various trading problems. 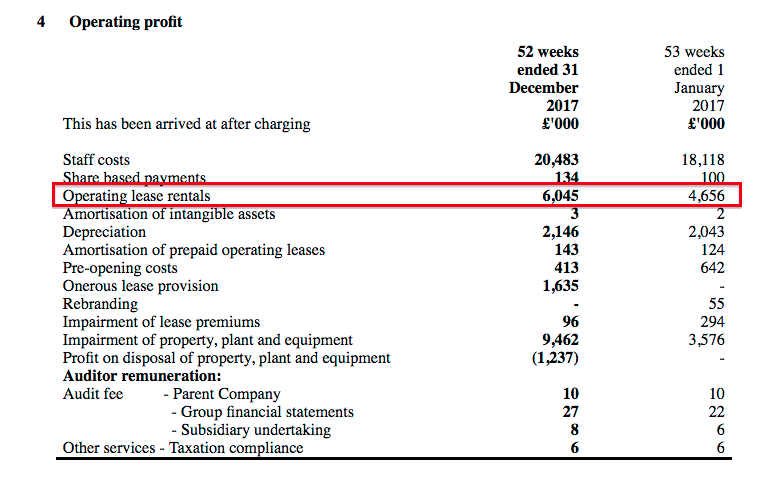 I dare say the most shareholders can expect for 2018 is a similar £1m profit to that recorded for 2017. TAST admitted a “number of restructuring costs” would be incurred this year. Average revenue per restaurant during H2 was £804k — a decent 4% improvement on the terrible £774k for H1 and down ‘only’ 6% on the £851k for H2 2016 (average revenue per unit during H1 was down 8% on H1 2016). TAST has written off assets of some £13m during the past two years. The £1.6m onerous lease provision covers four sites where “projected future trading income is insufficient to cover the unavoidable costs under the lease“. A trading statement during January revealed TAST had received £2m following four restaurant closures and a sale-and-leaseback transaction. These results confirmed six units had closed and, notably, proceeds from two transactions completed after the year end had raised £4.15m. 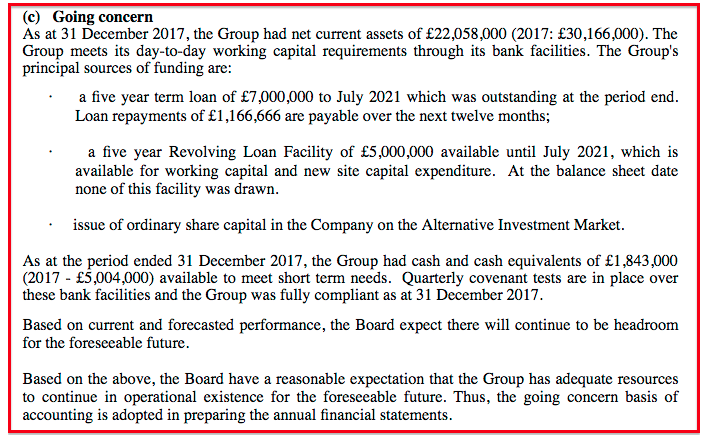 The lease for this property was assigned on 5 January 2018 for a premium receivable by the Group of £1.45m. Contracts have exchanged on this property with the lease due to be assigned imminently at a net cost of £nil to the Group. I have to admit, I am pleasantly surprised only one site incurred an exit cost. TAST’s cash generation did not look too bad to me. It all left cash in the bank at £1.8m, which ought now to stand close to £6m following the aforementioned Canary Wharf and Gloucester Road disposals. 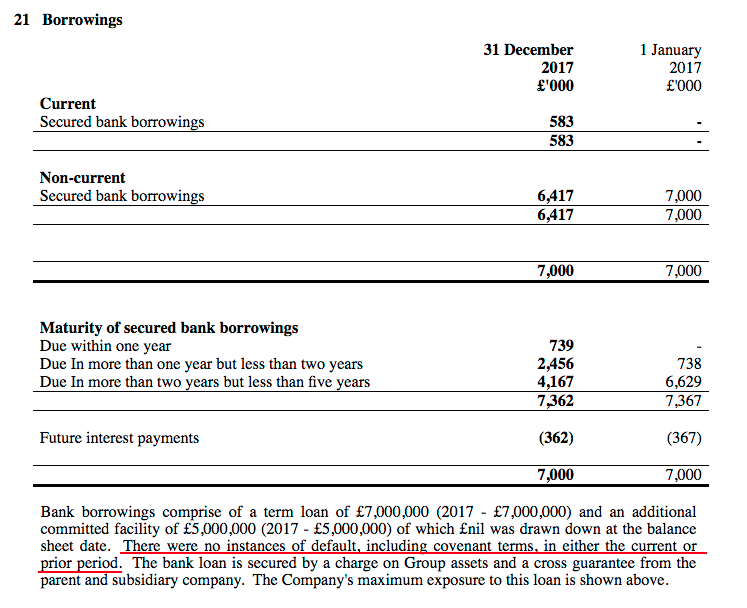 Borrowings of £7m mean net debt could now be approximately £1m — which, despite what TAST’s share price may be suggesting — does not appear too alarming. As such, capital expenditure should be reduced significantly this year. 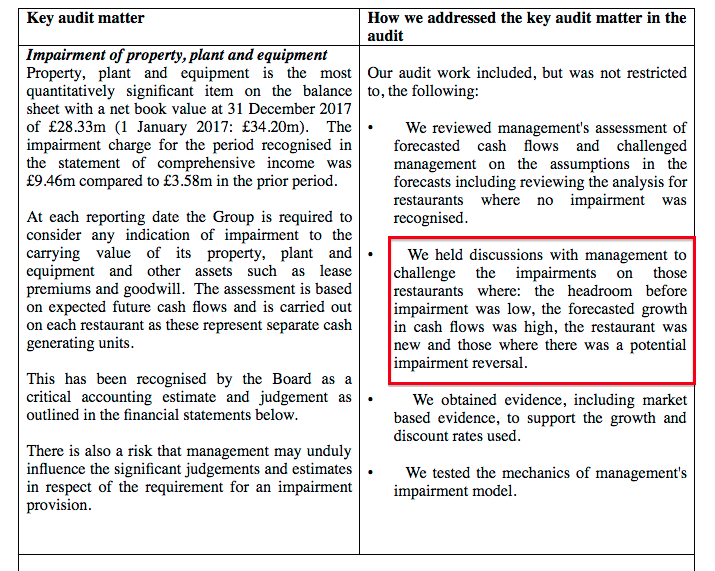 I am hopeful the cost of maintaining the restaurant chain can be broadly similar to the £2m depreciation charge. Twelve months ago I felt TAST’s problems were more to do with stale menus and complacent management than wider sector problems. However, the aforementioned bad news from the likes of Prezzo and Carluccio’s — plus various warnings from sector star Fulham Shore — do underline the industry difficulties TAST currently faces. At least TAST’s directors are taking action. Units have been closed, menus have been trimmed and even a fresh dining format has been launched. Whether the recovery plan is enough, though, is hard to judge. As before, I am resting everything on management’s past history. 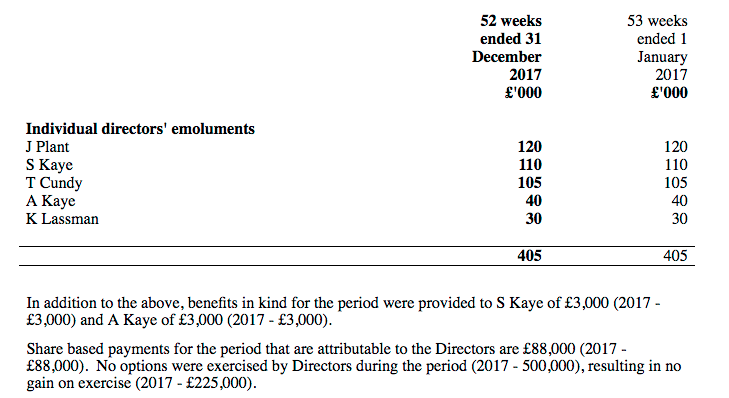 TAST’s boardroom is staffed by two members of the Kaye family, which in total owns approximately 40% of the business and has already built and sold multi-bagger chains ASK Central for £223m (in 2004) and Prezzo for £304m (in 2015). I have written this before, but I don’t think you can lose decades of such expertise overnight. The share price then was 80p and I do recall thinking, if the worst ever came to the worst, we could see 40p. Well, the price today is 13p, which supports an £8m market cap. 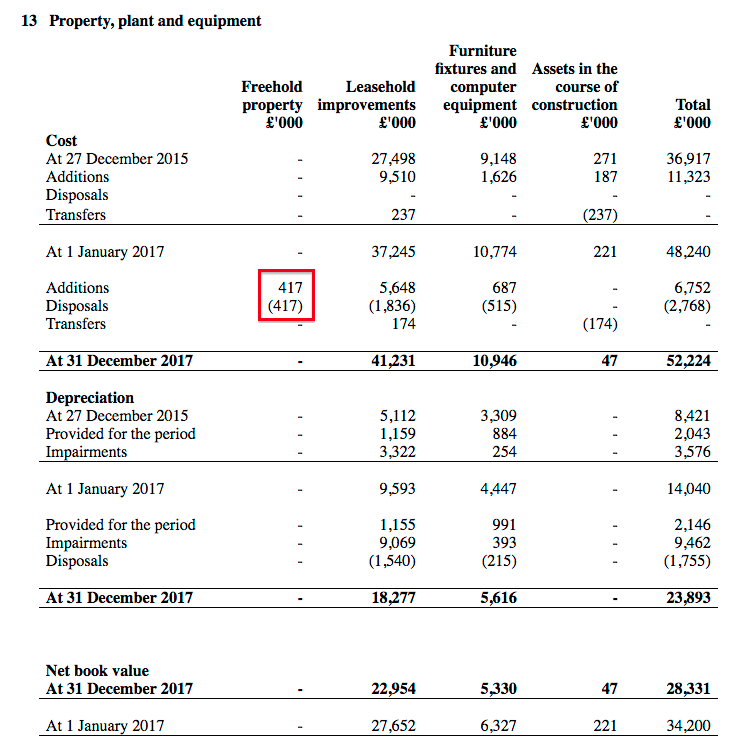 It is worth noting that an £8m market cap compares very favourably to the £4m TAST has just raised from the Canary Wharf and Gloucester Road transactions. 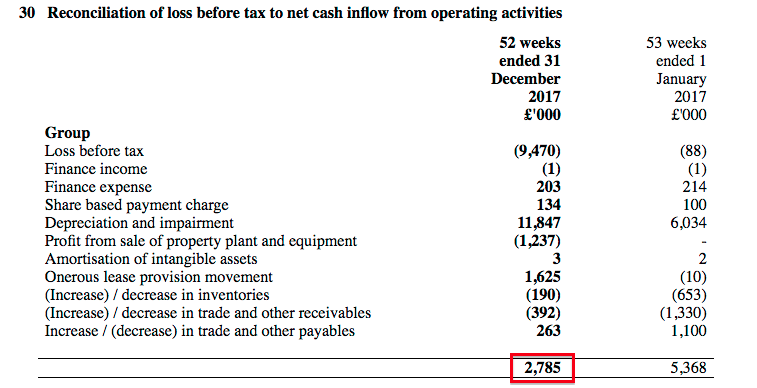 ii) net debt can be kept at £1m. Here is one recovery scenario. Closed units cut revenue by 20% to £40m, while other actions help improve the group’s operating margin to 5%. 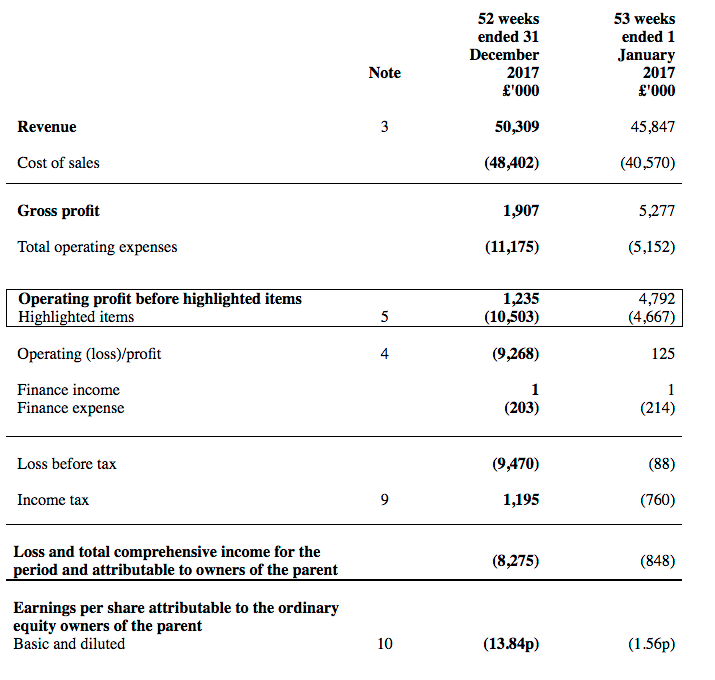 TAST would then report a £2m operating profit. 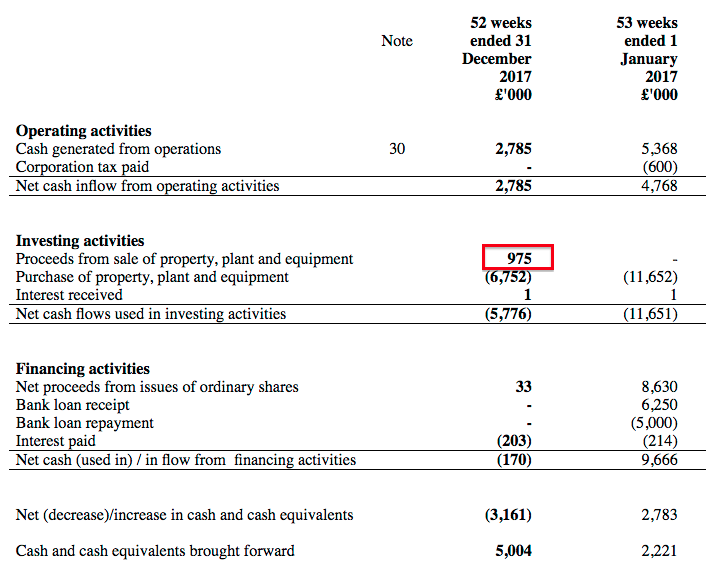 Such a performance could clear the outstanding net debt… and leave the present £8m market cap looking remarkably cheap. Also consider the Kaye family management, and its track record of building and then selling quoted restaurant chains for £200m-plus. Revitalising TAST and then selling it for ‘only’ £40m would still give a five-bagger from here. This results RNS effectively included the 2017 annual report. 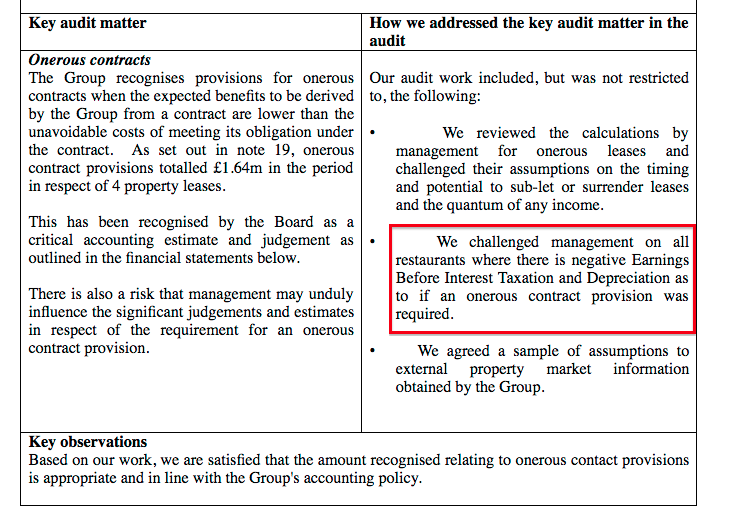 Credit to TAST for publishing the full audited numbers in a reasonable timescale. Everything seems in order, given the circumstances. I have to say, I do not like having to check such notes when reading a set of results. Not surprisingly, the report’s Risk section was expanded. 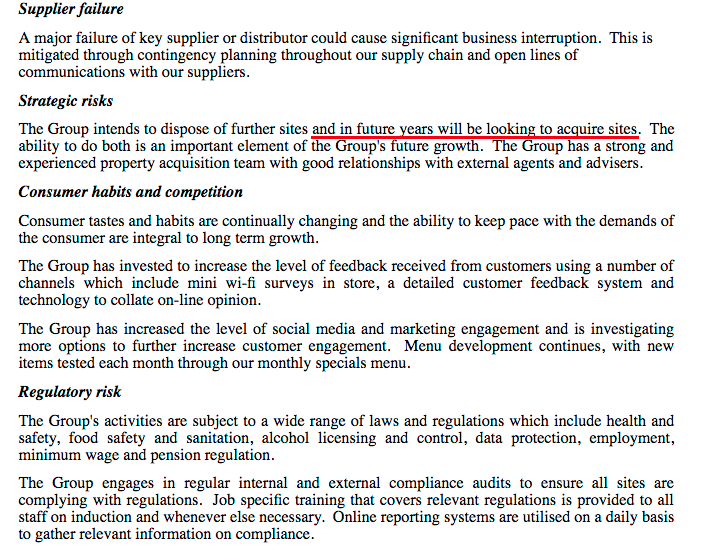 The ‘strategic risks’ section was changed, and claims the chain will one day look to acquire sites. £975k less £417k = £558k. I am not sure why there is a difference to the £620k in the other note. To be honest, I am pleased TAST could make a decent turn on this freehold in such a short time. This £1,237k must be a combination of the gains following the sale-and-leaseback and the Canary Wharf disposal, the latter transaction bringing in £1.45m after the year end but the accounting gain being recognised in these accounts. The left-hand column shows the provision relates to four leases. By making a three-year provision now — and taking a single ‘exceptional’ charge to the 2017 income statement — TAST’s future income statements will be flattered because the costs were not spread out over the three years. However, the actual cash costs can’t be rejigged and will be shown in future cash flow statements under ‘onerous lease provision movement’. It seems some of the restaurants incurring write-offs were “new“. That does not sound great. …will be brought onto the balance sheet and various movements will be passed through the income statement. There will be no effect on actual cash flow, but the accounting will become more complex. I look forward to reading the associated “extensive disclosures“. I am not sure whether that figure includes pay offs for abandoning certain restaurants. Still, it is not a great sign that lease costs are up 30% when revenue is up only 10%. 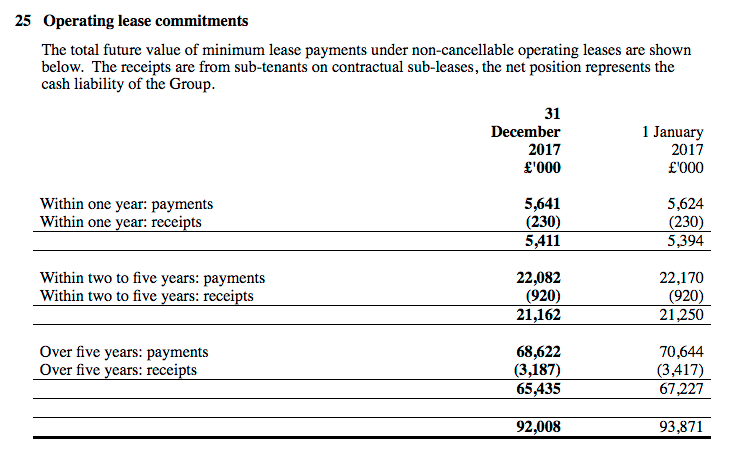 Lease costs represented 12% of revenue for 2017, versus between 10.0% to 10.5% for 2014/15/16. The 12% proportion is the highest seen since 2010. I don’t know whether these related-party notes are prepared on an accounting/accrued basis, or a simple cash-flow basis. Either way, TAST owes the Kayes £137k. A total £20,617k employee bill for 1,184 employees gives £17,413 each — versus £17,878 for 2016. That said, the employee bill as a proportion of revenue increased from 39.7% to 41.0% during 2017, while revenue per employee dropped from £44,992k to £42,491k. Employees per restaurants remained at the 18-19 level. Once again thank you for your analysis. You mentioned that you bought more shares, if you don’t mind me asking, what percentage did you increase your holding by? Since the start of the year I have increased my TAST holding by 85% at an average of 15p. Thanks for the analysis Maynard, really detailed and useful. It looks like it could potentially be very cheap, if they can achieve a decent level of sustainable profitability. It’s a very tough sector, I think the restaurant idea / experience is very key to whether they manage to stick around or not. Do you actually rate the Wildwood restaurants? Appreciate you view the management as strong, given past performance, but do you have a view as to whether this idea is a good or bad one. I’ve not eaten at one, (perhaps partly because) they don’t look very interesting. I like the dim-t restaurant near the Tower of London, and they seem like a good concept, but unfortunately are a small portion of their total restaurants. The Wildwood concept is not thrilling. It is not Wagamama or Nando’s. But if you wish to grow a chain beyond London and major City centres, the best bet is go somewhat mainstream. 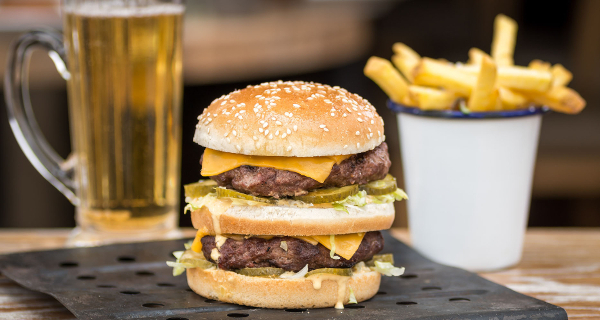 The advantage of having a grill/pizza/pasta/burger mix is that dishes can be changed if tastes change or some particular dish from another chain becomes fashionable. Focus on say, burgers, and you can be in trouble if burgers lose their appeal. 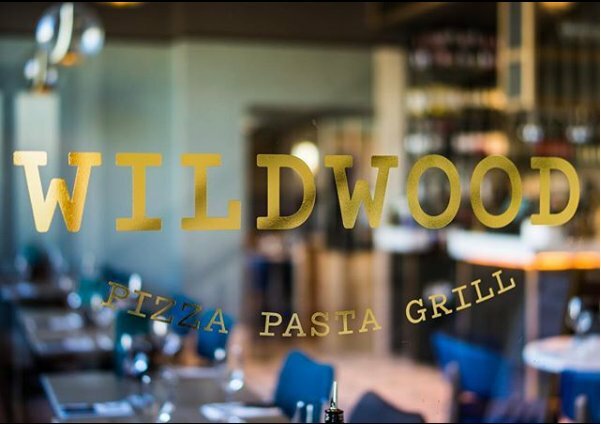 Wildwood’s broad menu is not that dissimilar to that of Prezzo, ASK, and so on, which is why perhaps all of these chains have hit problems. Also… I do like TAST’s Centuno venture — a pizza-focused restaurant with a low-ish cost menu and similar-ish to Fulham Shore’s Franco Manca concept. Low-cost menus are the way forward I think, given the structural cost increase of running restaurants these days, and the growing custom of using discount vouchers. I have to admit I would not eat in a Wildwood, Prezzo, ASK etc without a decent discount voucher. Dim-t was the firm’s initial chain, but expansion was redirected to Wildwood in about 2010 when (I presume) the board felt the dim-sum concept would not travel that well outside London. Thanks for the reply. Interesting point about the pro of being flexible / mainstream but at risk of being too generic / boring. The numbers look intriguing to me, but do think the concept is key too in a situation like this, I may look into this one further. Abingdon, Ilkley, Canary Wharf, Bristol and now Barnes, have been removed. Gloucester Road continues to be listed — I presume it remains a Wildwood restaurant but under different ownership. I see 55 Wildwoods, 6 dim-ts and 1 centuno = 62 sites. The proposal allows Prezzo to rationalise its estate and to reduce the cost of its leased restaurants. This will allow the company to focus its resources on the core, more profitable restaurants whilst continuing to meet its obligations to suppliers and creditors. Prezzo will be better placed to implement the changes required to refresh the Prezzo brand and to counter the economic challenges currently affecting the casual dining sector. This proposed restructuring, under the terms of a company voluntary arrangement (“CVA”), will allow Prezzo to continue operating while it implements plans to improve its food and service and to invest in new restaurant layouts and designs. Under the CVA process, Prezzo has submitted a restructuring plan to its creditors and will seek their approval of the CVA at a meeting on 23 March 2018. If approved by the creditors, the CVA proposal will substantially reduce Prezzo’s rental obligations and will move the business towards a more robust business model. Where restaurants are closed, we will do everything possible to redeploy staff to other sites. Everything was formally approved today. PRZ divided its restaurant estate into seven categories. Category 1 covered the sites that remained profitable at the current rent or had some “strategic value“, and would not require a rent cut. The other six categories covered units that would require a rent cut or be closed down. I have compared TAST’s 55 Wildwood restaurants to those in the CVA document. Bicester, Billericay, Braintree, Brentwood, Cambridge, Canterbury, Cheam, Chelmsford, Chichester, Crawley, Didcot, Edinburgh, Ely, Hinckley, Hornchurch, Kettering, Letchworth, Maidstone, Newmarket, Nottingham, Peterborough, Plymouth, Salisbury, South Woodford, Whiteley, York. Bournemouth, Brentwood, Camberley, Cobham, Epping, Hereford, Kingston, Lincoln, Port Solent, Stratford-upon-Avon, Taunton, Telford. So what we have out of 55 Wildwood sites are 26 near a profitable Prezzo unit, with 12 in locations with a PRZ unit that needs a rent cut or closure. Then we have a further 17 Wildwood sites where the PRZ CVA impact is unclear. Of course, a profitable PRZ unit does not mean the Wildwood down the road makes any money — rents, footfall and so on may differ significantly. But it is a reasonable indicator the Wildwood ought to be relatively successful. So with 26 Wildwood outlets perhaps offering a Category 1 status, and 12 probably in Categories 2-7, the profitable-to-troubled unit ratio is about 2-to-1. Could two-thirds of TAST’s Wildwood sites actually make money? I will read through the finer details in due course. I thought I would check to see what effect the Prezzo CVA would have on the Kaye family’s property interests. Here are the Kaye family companies (that I know of) and the Prezzo locations listed in the CVA document. Category 1 sites are those that had remained profitable at the current rent or had some “strategic value“, and would not require a rent cut. The other categories covered units that would require a rent cut or be closed down. Kropifko: Category 1: Bury St Edmonds, Salisbury. ECH Properties: Category 1: Canterbury, Glasgow. Category 4: Canterbury. Regis 2000: Category 1: Hornchurch, Maldon, Thame, Tring, Windsor. Benja Properties: Category 1: Chichester. Abear Properties: Category 1: Wimborne. Category 3: Maidenhead. Noodle Properties: Category 1: Rugby, Torquay. Evie Milly Properties: Category 1: Peterborough. Amberstar: Category 1: Aldeburgh, Buckingham, Horsham, New Oxford Street, Oswestry, Romsey, Uxbridge. Category 2: Radlett. Category 4: Alton, Sheffield. Category 5: Haverstock Hill. By my calculations, these Kaye family companies owned 30 sites of which 22 are Category 1 units and therefore should not be affected directly by Prezzo’s CVA. Of the other 8 sites, 7 will face rent cuts of between 25% and 75%, while the other site will see Prezzo exit completely. So overall, I guess this is not too bad an outcome for the Kayes. This is promising. True, the transaction involved the non-exec chairman and amounted to only £20k. But what is important is that a director can’t (or should not be able to) buy or sell shares if he is privvy to precise insider information that, if released to the market, would likely cause a significant share-price movement. That being the case, perhaps we can assume TAST is not planning a rights issue to shore up the balance sheet (at least for the moment). Of course, this purchase could be just a token gesture by an ‘out-of-the-loop’ chairman that did not realise he owned an extra 20,000 shares last year. The Company today announces that on 29 March 2018, Keith Lassman, Non-Executive Chairman, purchased 165,000 ordinary shares of 10p each in the capital of the company (“Ordinary Shares”), at a purchase price of 11.9p per Ordinary Share. Following this purchase, Mr Lassman holds 333,185 Ordinary Shares representing approximately 0.56% per cent of the Company’s issued share capital. David, I don’t know why he had missed owning some shares. The statement also revealed another director had overstated his holding. 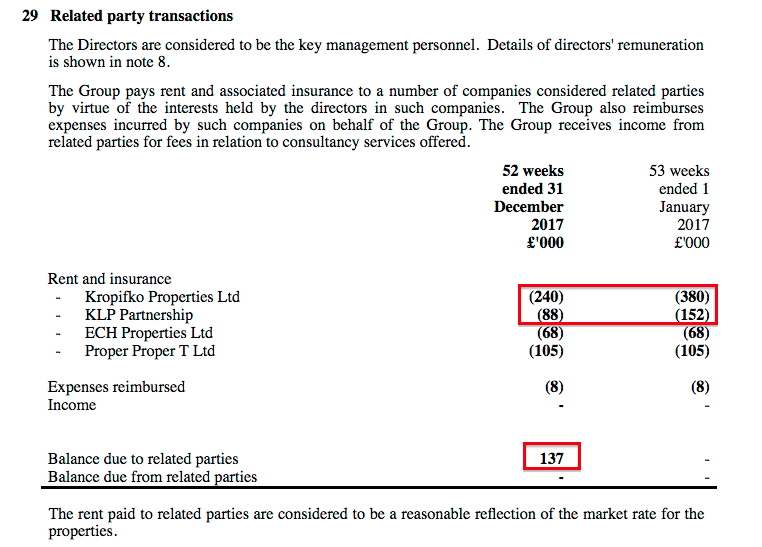 I am not sure if any new rules about what counts as a director shareholding prompted the recalculations. It appears TAST’s single Centuno restaurant (centuno.co.uk) has increased some of its menu prices. The previous increase occurred only a month ago. I don’t own Tasty, but watched in horror as the sp crashed. I read with interest your analysis on the company, but was still uncomfortable in investing in a restaurant chain. sp was 11p at the time and given that it’s now doubled in such a short space of time, do you think it’s still got further to go? Hindsight is of course a wonderful thing, but I’ve bought into other fallers expecting them to rise, only to see them slump further; Capita, Luceco and Monetise the worst offenders. Thanks for the comment. I must admit I was not 100% comfortable buying more TAST all the way done, because there is always the doubt that the market knows something you don’t. I did not expect the shares to rebound as quickly as they have. All the worries about the sector remain. The only thing that has changed has been the director buying, which to me at least indicates there is no rescue rights issue planned right now. The realisation the company may not be going bust, and the market cap, may have prompted the buying. Rising share prices can of course attract more buyers simply because of the rising share price. I think the price at 24p has further to go longer term — assuming the estate is rationalised, earnings can recover, and maybe one day the expansion plans are resurrected. I started buying TAST last year at 55p expecting them to rise. So you are not alone in watching fallers fall further. The trick is to buy into companies where you are confident the problems are solvable while the share price is expecting the very worst… and be able to hold your nerve while averaging down. Easier said than done of course, and not something I really enjoy. Question is why such volume buying over the last week? I don’t know. I can only repeat the answer to the previous post, and the director buying etc. But I may have missed some positive sector news. Not much to see here, as everything important was published within the results RNS. A 9am start is not great. Last year’s gig started at 9:30am. The year before was 10:30am. More importantly, TAST wishes to lift the aggregate nominal value of the extra shares the group can issue. Last year the aggregate amount was £590k, this year it is £1,196k. The nominal price of TAST shares is 10p, so £1,196k is equivalent of issuing 11,960k shares — or 20% of the current share count. I suppose this facility could come in handy — issuing 11,960k shares at, say, 25p would raise a useful £3m. I suppose during TAST’s heyday of 2012-2015, the rising share price meant fewer shares were needed to be issued to raise decent sums for expansion. Also, the variable nature of the ‘aggregate nominal value’ suggests the board actively considers this resolution, and does reduce it when necessary to perhaps appease the worry of further dilution. The obvious question now is whether the board will at some point issue extra shares. The increase to £1,196k does nothing to dampen that suspicion. “We’ve been busy over the past few months working on some brand new creations that we think you’ll love just as much as us. Will it be our Pizza Fiorentina served with black olives, spinach, a free-range egg & Gran Moravia or satisfy that sweet tooth with one of our brand new ice cream cones – perfect for the warmer months. I have headed over to the website and there are no details :-( The link takes me to here. £13 a pop. At least this burger is listed on the website’s Specials menu.